Now accepting reservations for 2019! Take in the whole Lake Geneva experience! 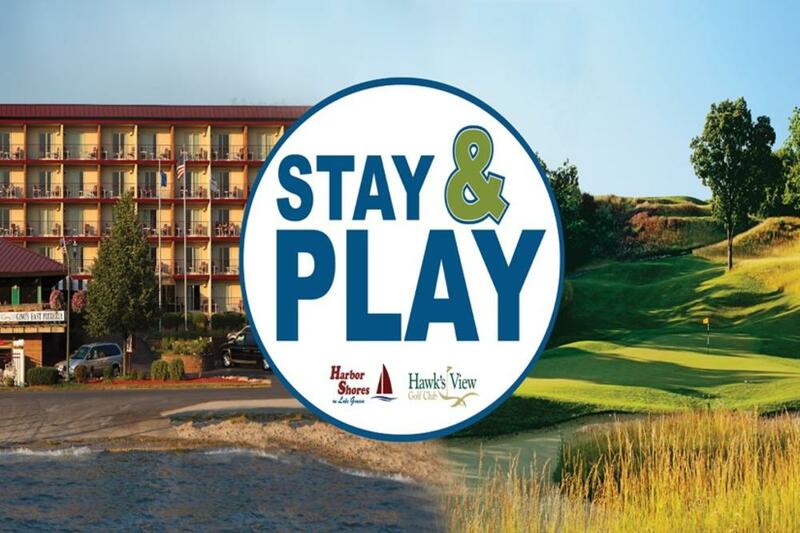 Harbor Shores is excited to have partnered with Hawk's View Golf Club to be able to give you a first class Stay & Play experience at an affordable rate! Golfers with an appetite to play won't be disappointed by this great package. All packages are based on two people and include (1) round of golf per person, riding cart and a one night stay in a Standard Parkview room with two queen beds.